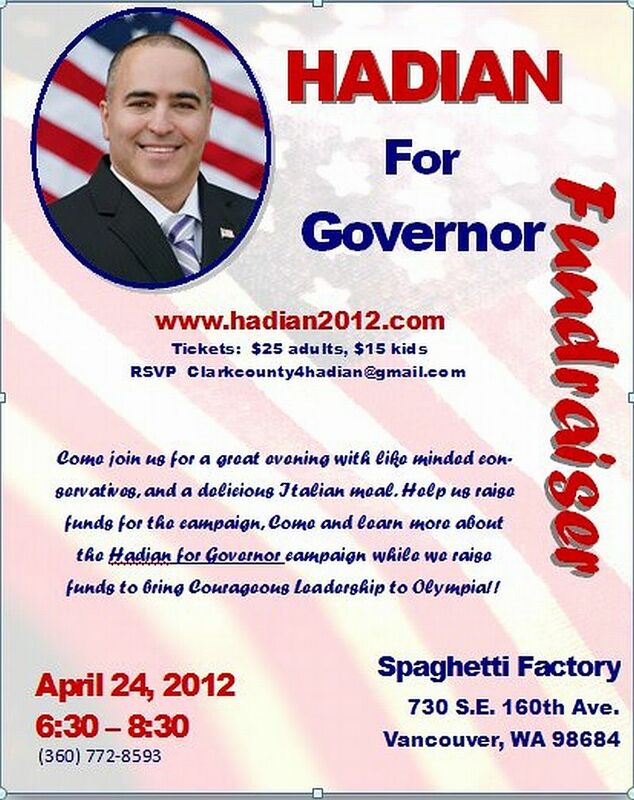 Although I haven’t mentioned him as much as I would like, Shahram Hadian, the lone conservative running for governor of Washington State will be in Vancouver for a fundraiser at the Old Spaghetti Factory out Mill Plain. The WSRP may try to ignore him for Rob McKenna, but he forges ahead, spreading his message of Courageous Leadership. Come on out and meet Shahram and see if you agree, now more than any other time, we need Courageous and Principled Leadership in our state.